Does One Laptop Per Child excite you? Do you want to share your passion with the five thousand daily readers of OLPC News? 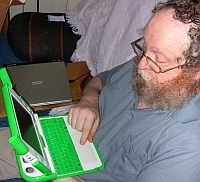 Highlight your opinions on OLPC deployment progress? Or announce your own local XO user group?